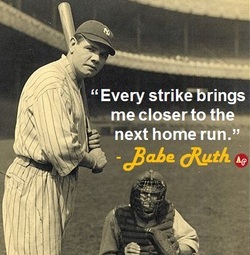 I don't think Babe Ruth could have said it better! I have spent the last six months viewing social media sites and postings by people in the home business world. It's been exciting, appalling and embarrassing all at the same time. Exciting????? More and more people are realizing the advantages of having a home business. People are either utilizing a home business for tax advantages, financial growth or fun! The home business world is growing rapidly and new companies are popping up every day! If you buy it there is probably a direct sales company for it! Appalling????? I was shocked to see how many direct sellers abuse the social media system... How? By spamming, by harassing, by falsifying...... you name it! This is what causes distress in people when they hear the words "DS", "MLM", "Network Marketing", etc. Rest assured not EVERYONE is in it to profit off you but a majority are in it to PROFIT WITH YOU. Embarrassing????? Yes I am embarrassed by the actions people take and the stigma that some have caused to be placed on the home business industry. But I can tell you it's a great industry to be in if you are in it for the right reasons. My mission is to change the stigma! 1. If you join a home business make sure it's with a company and product you can stand behind and have a passion about. 2. You are more than likely going to struggle, it's pushing through the struggle that will make you successful. 3. Don't be so quick to blame. I see the comments and posts with reps bashing their sponsors and the companies. In most cases neither was to blame, it was the reps inaction or expectation for the money to just fall off the tree. I challenge you to question and write down the negativities you have in one column and the next column write down what action you took to reverse it. 4. Treat everyone with respect. No matter what is thrown at you try your very best to put a positive spin on it... Sometimes a the pitcher's curve ball turns into a home run! If you see unprofessional behavior, posting, etc. in a social media site you have two choices..... Close it down or be a model for others that may see it... Respond positively, professionally and educationally. What you put out in the www is a reflection of who you are and how others will perceive you. They may even perceive the company and product more positively too! 5. Get to KNOW people first...... Yes, ask questions ABOUT the person you are talking to. It's so frustrating when you are talking or chatting with someone and the conversation in one-sided on their part.... People respect your interest in them and enjoy the relationship. The best thing about home business for me has been meeting so many wonderful people. You turn on the television and the news is all negative....it's depressing... But the world is not filled with just negativity... Expand your horizons and know in home business you're going to strike out before that home run. Accept it, embrace it and carry on. People will value your resilience, trust me. You have to build a brand and product first to gain respect and popularity... No matter what your home business is you are the brand and the product. Once you realize that you will see more hits than strikes! 3. I don't know anyone. 1. Who ever really has money? I bet we all find the money for that coffee fix, right? Or that afternoon stop at a WaWa for a sandwich or snack? What is that coffee or sandwich worth to you? It is going to go down to that bottomless pit in our stomach.... There's no lasting reward just instant gratification that the caffeine push you just ingested will give you a quick lift to get you through the next 8 hours. What happens at the end of the 8 hours? Not much except the thought of starting the next day with that caffeine push all over again. 2. Time, hmmmm.. Time.... Everyone has time somewhere... If you have 10 - 15 minutes to jump on Facebook and post you just found yourself time... If you have an hour to watch a television show, you just found time! Stuck in traffic on the commutes to and from work? You just found time!! Time exists in the places we don't look. 3. I don't know anyone? We all know someone.... right? If you didn't know anyone why are you posting on Facebook or going to a job or going out for a drink.... The only "one" I don't think people know are themselves. You don't have to ask the people you know to join in your venture but you can ask the people you know for referrals or introductions! By not asking those you know, you will create a need to know. Within all of us exists a superhero. What needs to exist is the power to unleash the superhero within us! Take those top three excuses and break them down. What will you find? You will find they are simply excuses on why you can't. Turn the can't into I can. I can find the money to start a business I would love to do, I can find the time by organizing my days and I can contact the people I know! Summer is the time when families vacation, are on the go and just simply don't have down time. I've been hearing from a few who just began their home businesses in Direct Sales how they are "no good at it", "my sales are few or none" or "I failed at it". Success comes from a positive attitude and positive actions. If you went to work everyday at your "job" with a negative attitude and actions, it reflects back on you... Whether it drifts and your co-workers become negative, your pay or promotions never increase, etc.... I can say I have been there thinking those same things until one day I decided I couldn't let negativity control my day to day routines..... Within a short time of changing my attitude and actions people started to gain in interest in me and what I did on my done time, etc. Preparedness: Make sure you evaluate, investigate and understand the product and company you are looking to represent. Many "just sign" when they here hype... Before you join and I ask my prospects this.... is this a product/company you can stand behind, is this a product you enjoy yourself and is this something you see creating a long-term residual income for yourself. Patience: We all know how long it takes to climb a corporate ladder, start a traditional business or even get a degree... What we have in the age today is a huge advantage with Direct Sales/Network Marketing! The advantage is we have the ability to control our destiny but we should not expect it overnight! When you sit back and say "You know what, I can do this, I will do this, I will succeed and I know it will take time" the difference will be seen. Yes, there are those who, just like gambling, got lucky and had what I would call overnight success, but to keep it they still have to work hard at it. Positivity: Your attitude reflects on the people around you.... Think about this... You are in a room full of people who are laughing, getting along and having fun.. Uh Oh! Here comes Mr. Boss with that look!! Notice the room suddenly quotes, peoples' heads go down and well the nerves are rattled.. Bye Bye Fun! But if Mr. Boss comes in smiling, laughing and joining your fun the spirit stays... Well you are Mr. Boss. Which one do you emulate? The frowning, negative, sad faced one or the happy, smiling, laughing, uplifting one. In all negativity there is positivity... Choose the positivity even in the most negative circumstances and you will again, see a positive change. 1. 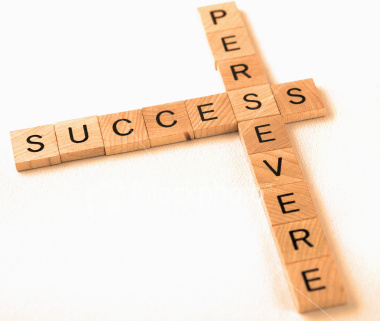 Steadfastness in doing something despite difficult or delay in achieving success. 2. Continuance in a state of grace leading finally to a state of glory. The definition speaks for itself and reverts back to preparedness, patience and positivity. This is a practice I have found useful and thought others might be able to draw inspiration from in their businesses and daily life. To Impress or Unimpress? That is the Question. An interesting article about annoyance was brought to my attention today and the content contained useful information. Although the article itself did not discuss etiquette, so to speak, it posed important points I believe apply to building a healthy business relationship with people. 1. Are They Prepared? If your going to share an opportunity you have to make sure you have the material ready for any potential questions. What is the product? Who is the company? What is the pay structure? How do I get involved today? Questions can not always be answered on the spot, so be honest if you have to and say "I will research your question and get the answer for you." 2. Am I Important to Them? 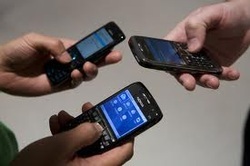 Everyone's time is valuable, so put the cell on silent or vibrate, take off the ear piece. Make it a point to take this action in front of your prospect as it shows respect and that you value them. Distracting noised or interrupting the discussion to take a call can literally disrupt the Chi and make or break the deal. 3. Are they all about "I"? The biggest turn off is hearing someone say "I" consistently. You may make a lot of money or you may be at the top, but how did you arrive to that position. What "I" want to know is what do you do for your team, what form of support do you offer or exactly how is the team doing.... Is your success based on a unilateral "I" effort or is it a collective team effort. 4. Are They Up Front? Listen carefully for straight forward responses. Telling you that you "will" get rich or there's "no" work involved is a red flag in any book, unless you're playing the lottery. The reason many have a bad taste about MLM, DS or Network Marketing is because they've been programed to believe those things. You will make what you put into it. There are a few lucky people that did get rich with maybe little or no work, but they are just that, lucky. Embellishing or exaggerating simply makes the presenter appear dishonest. If you do so, your prospect will have too high of expectations leading them to potential failure or lack of trust in you and the company. Whether it took 1 year or 5 years to reach your success be honest and let your prospect know. Joining a home based business opportunity is no difference than applying for a J.O.B. with the exception that you are interviewing the sponsor and company. Don't be afraid to ask questions about the person prospecting you. If this is to be your lifelong business/dream you want to build it with someone you feel comfortable with and who is a team player looking out for your interests as well as their own. The biggest myth about a home-based business is the I'm gonna "get rich quick" thought process. A home-based business is not the lottery and sitting back waiting for your numbers to pop up. A home-business is like any other business.... it takes work and time to build it into a full-time income. We all wish we could "get rich quick" and sometimes fall into the traps of promises of making an instant livable full-time income. Not to say people have not achieved it, but just as the lottery it's not going to happen for everyone by sitting back. To succeed it takes time, dedication, consistency and patience. A home-business is a real business with the potential to generate a significant income if you play your numbers right. The key is "play". What do I mean by "play"? Well lets translate... Playing requires physical exertion or movement as does work require you to physically exerted yourself and get out and build a team. If you were playing, lets say flag football, and had to pick your team from a group of individuals how would you base your choices? Skill, athleticism, performance and more.... I guarantee you would look closely at everyone in the pack to analyze their abilities to create a winning flag football team. You have to do the same when building your home-business.... It may look great on paper to be able to say you have large numbers of people in your organization, however would you rather 3 to 5 dedicated ambitious people producing or 100 people just sitting stagnant not building and expanding. Another age old saying comes into play, quality is better than quantity. I like to watch a show, The Apprentice, whether it is the celebrity version or the civilian version. Why? I may not be a number one Donald follower but he has achieved success and why not take a look into his philosophy. Yes, it's a television show, however when it comes down to the boardroom there are things you can learn. Why did he fire that person. Maybe you thought that person was great, but when The Donald gives his reason for pointing the finger and saying "You're Fired" it becomes clear what the error was that could make or break you in the business world. Sometimes in the world of entertainment you can find teachings and inspiration. Always consider every activity you do as an opportunity to learn. Take your home-business seriously and don't treat it as a lottery ticket purchase. Just as a lottery winning is a dream so is a home-business... The difference is .... In a home-business YOU can create the winning dream if YOU put dedication and effort into it. Today our economy leaves little to be desired. Corporations, the real estate market and mom and pop business are collapsing at an alarming rate. MLM businesses thrive in poor economic times. People are joining the MLM industry in significant numbers. Working day to day with overloading hours just to keep jobs and earn enough money to simply cover their bills is draining physically and emotionally. MLM companies are being supported by some of the largest business figures today. We have the Donald, who has launched his personal MLM industry and continued to expand upon it. Warren Buffett, an investment guru, owns multiple MLM companies. Investing in multiple MLM companies? Hmmm... Mr. Buffett must know what he is doing as he continues to be successful financially. MLM businesses have the lowest start-up costs with the lowest overhead of ANY business with the bonus of increased tax advantages. An average business owner may invest anywhere from $50 to $500 to initiate their businesses and possibly $40 to $400 per month to run it. As with any traditional business income may not be seen instantly, however those consistently working their businesses earn a passive income over and above their expenses within 6 months to two years. As it's been published over and over.... Last year 91% of foreclosures could have been prevented with $500 in additional income per month and 95% of all businesses close because of a lack of cash. Today, small business owners and individuals are taking notice and realizing and investment in the MLM industry is a smart investment for the future. People today have a misconception based upon hype and desperation to survive that the MLM industry is meant to provide you the "instant" riches. The window of opportunity I present is a reasonable 5-year window. Some responses I have received are "I don't have 5 years!" or "Company ABC said I will make $3k the first week." Think about years it takes to do most things, such as complete college or how long do you have to be at a company before you become vested or earn your desired income level. Let's see 4 or more years for college and at minimum 3 to 5 years with a major corporation before you "move up the ladder" to a nice chunk of change. Imagine you were earning $200 per month residual income from your MLM venture...... The equivalent interest earnings would mean you would have to have $48,000 in the bank earning 5% interest! Where will you find 5% interest and who has $48K to spare sitting in a bank and how long would it take you to save $48K? Next: Let's say you're established in your MLM making $2,500 per month which equates to $30,000 per year in MLM income. Even at 3% interest rates (which are near non-existent) you would need $1 million in the bank to earn that same monthly income. The MLM industry allows one to earn a generous passive income without becoming a indebted to the corporate world by having to build capital prior to generating passive incomes. Having considered just a bit of what I covered, I would say it makes sense in today's failing economy to take a course of action to secure the financial future of your family by utilizing an MLM. Remember, just as with schooling or traditional businesses be patient and allow your passive income to grow naturally for sustainability. While you're finding your way to financial stability you will be helping others climb out of economic disgraces. 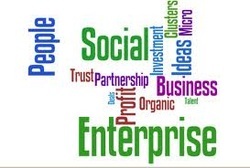 Your probably asking yourself what is social entrepreneurism. It's simple. Social entrepreneurs are individuals that believe in utilizing business solutions to solve social problems. With today's economy the cut back on charitable donations has been devastating. Why? We have become our own charity. How do we give when we need. So the question is how do we still make a difference in the lives of others while trying to make a difference in our lives. The answer is combine business solutions with charitable causes creating a win-win situation. Why become a Social Entrepreneur? We can all agree entrepreneurs change the face of business, right? Social entrepreneurs perform as the revolutionary mediator for society, seizing opportunities others miss. Social entrepreneurs are changing the world for the better. A business entrepreneur might create entirely new industries, however a social entrepreneur comes up with new solutions to social problems and then implements them on a large scale. A great book I recommend to gain perspective on Social Entrepreneurship is “The Social Entrepreneur Revolution: Doing good by making money, making money by doing good” by Martin Clark, 2009, Marshall Cavendish Business, Great Britain. The challenges of extreme poverty, environmental sustainability, global educational decline, and the spread of diseases await people with the ideas and the drive to fundamentally transform society as we know it today. Combining entrepreneurism with a passion to improve society an individual has the capabilities to enrich their own lifestyle while simultaneously impacting society for the better.